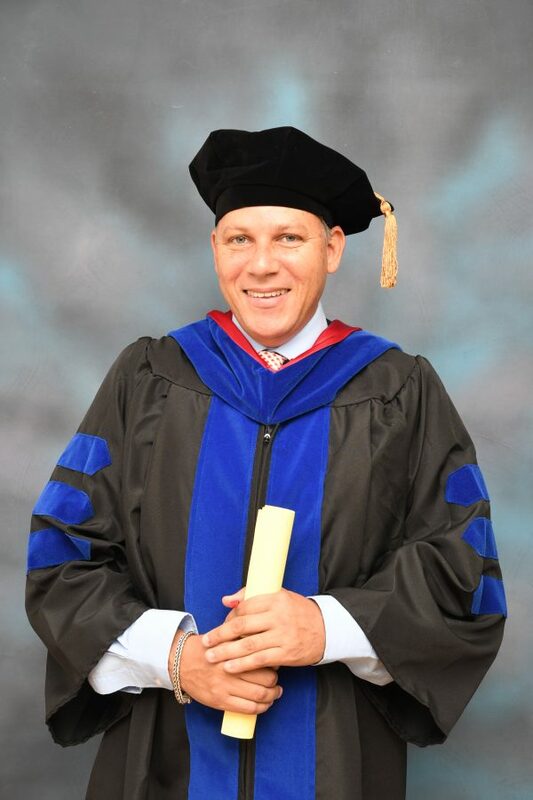 Trevor Paul Noël is the first Grenadian born recipient of a Doctor of Philosophy from St George’s University (SGU). Dr Noël read his undergraduate degree at University College Cork, Republic of Ireland. His Masters of Public Health degree was completed at SGU. He is the Deputy Director of the Windward Islands Research and Education Foundation (WINDREF) located at the True Blue campus of SGU. His public health travels and work exposures have taken him to Kenya, Morocco, South Sudan, Cuba (to name a few). His thesis on the elimination of Neglected Tropical Diseases with an emphasis on Soil Transmitted Helminths, was well received by his committee, chaired by Professor Calum Macpherson, Vice Provost International Programme Development, SGU and external examiner, Professor John Lindo, Chairman, Department of Microbiology, UWI, Jamaica. He has done himself, his family and his Alma mater proud. “You fought battles, overcame obstacles. You had a goal, gave it your soul. You worked hard, went the extra yard. You gave it your all, you deserve to stand tall.” Noëlville, Balthazar Estate congratulates Dr Trevor Noël.